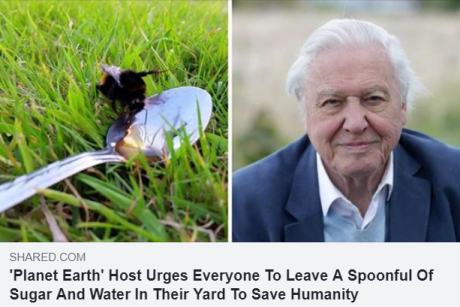 Facebook has taken down a fake Sir David Attenborough post encouraging people to feed a teaspoon of sugar water to help struggling bees. Social media was abuzz about the article claiming to be from the much-loved natural history broadcaster. The fake post was shared worldwide by well-meaning people. “If bees were to disappear from the face of the earth, humans would have just four years to live,” it read. The post went viral and was shared across the world, but internet links to it no longer work. In a statement the BBC revealed it asked Facebook “to take down the page as it and posts were purporting to be from Sir David”. New South Wales beekeeper Chris Wyatt had his suspicions from the start. “I idolise him [Sir David], I think he’s a fantastic role model for young people and all of the wonders of the world, so I thought it was quite an odd suggestion for him to be putting out himself,” he said. Apiarist Chris Wyatt warns feeding bees can potentially spread disease. But Mr Wyatt became concerned about comments on the post in which well-intentioned people came up with increasingly inventive ideas to feed bees the equivalent of ‘fast food’, including filling bird baths with sugar water. In an impassioned post on his Facebook pagethat had now been shared more than 15,000 times, the apiarist wrote “please don’t feed my bees” asking “good Samaritans to think twice”. He is most concerned that, against Australian biosecurity requirements, people have added honey to the mix. 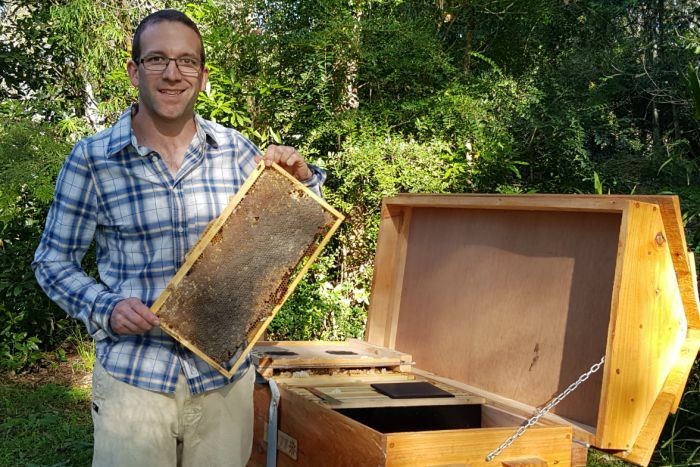 “In Australia we’re really kind of privileged in that we don’t have some of the pests that are really impacting on colonies overseas but one thing that is a problem here is American foulbrood, which is a bacterial disease that is spread through the feeding of honey,” Mr Wyatt told the ABC. “My major concern was that while people were well meaning and wanting to help out bee colonies, that they may inadvertently spread this disease. So should people feed bees sugar? The New South Wales Department of Primary Industries has published a guideline for apiarists considering feeding sugar to bees as a management tool in times of stress. On a listening tour of western Queensland Prime Minister Malcolm Turnbull’s attention was captured by Bulloo shire mayor John ‘Tractor’ Ferguson hand feeding his drought affected bees. “In that situation there was absolutely no feed out there at all and he was feeding them pollen supplement,” Australian Honey Bee Industry Council executive director Trevor Weatherhead said. Australian Honeybee Industry Council executive director Trevor Weatherhead says European bee numbers are increasing, not decreasing, in Australia. Mr Weatherhead said it was not useful for householders to put out water and sugar for bees. “If they saw a honey bee out on its last legs and they went to feed it some sugar and water there’s every likelihood they’ll get stung and the bee will die in any case,” he said. In North America, Europe and Asia, bee numbers have nosedived, hard hit by mysterious colony collapse, disease, pesticide use, land practices and predators. But Australia’s European honey bee population is estimated to be the biggest it’s been in a decade. In August last year more than 647,000 bee hives were registered to 20,081 beekeepers, with hundreds more registering this year. “Hive numbers and beekeeper numbers are increasing all the time, so that’s a very good sign for Australia,” Mr Weatherhead said. Bob Luttrell, aka Bob the Bee Man, prepares to remove bees from a water meter. In Brisbane, stingless native beekeeper Bob Lutterell cooks up a special sterile sugar mix he uses to help hives he has rescued from water meters. “Feeding is one thing that is occasionally necessary if a stingless bee hive is struggling for food,” Mr Lutterell said. 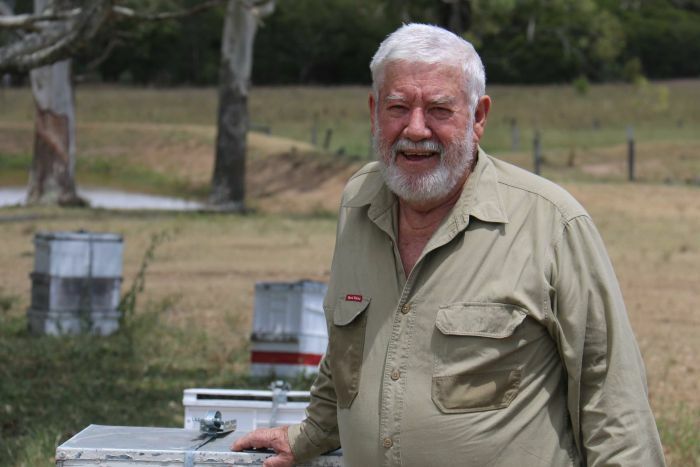 Western Australian beekeeper Shelley Bowden said bee populations around Kendenup, north of Albany, were strong and agreed there was a lot involved in supplement bee feeding. 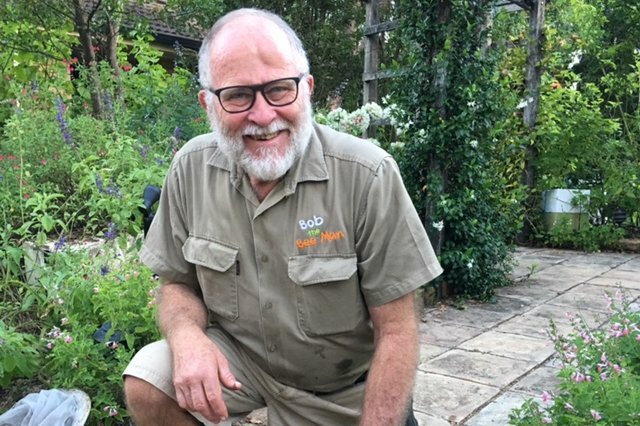 Gardening Australia host Costa Georgiadis recommends helping pollinators by putting in a variety of plants that will flower across the year. 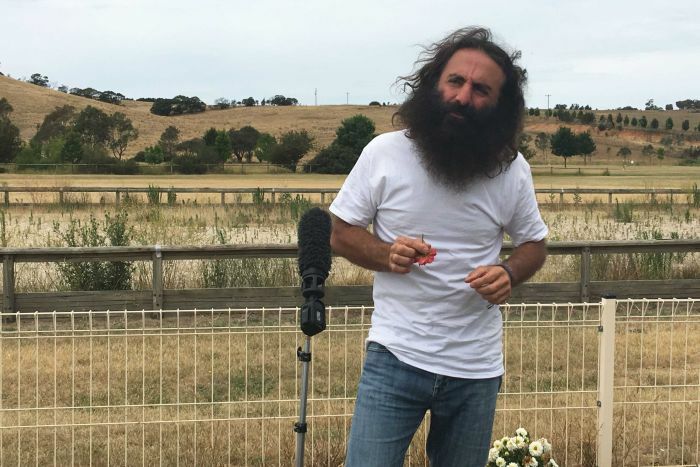 Gardening Australia host Costa Georgiardis said there were more than 1,500 species of bees and valuable pollinators in Australia and the debate over the fake Sir David Attenborough post had been valuable. Mr Georgiadis said the best thing any of us could do was to grow more plants that flower at different times of the year.